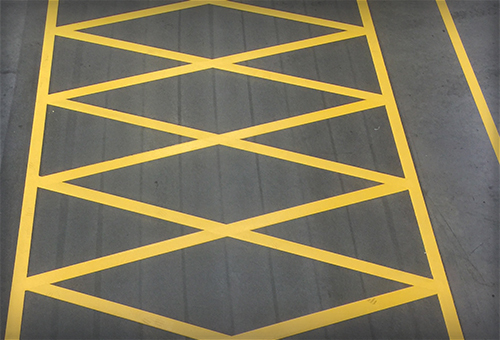 Direct apply line marking paint is a no preparation method which is cheap, fast and temporary in durability. It’s ideal for those who are working with dynamic layouts and those looking for the optimum layout. This is the most popular method and cost effective method of creating durable line markings in warehouse and distribution facilities. Its perfect for high traffic areas where layouts have become established. This is the highly developed and high cost line marking solution that meet the demands of intense work areas in DC’s and industrial environments. It takes longer, costs more but last way beyond other methods. 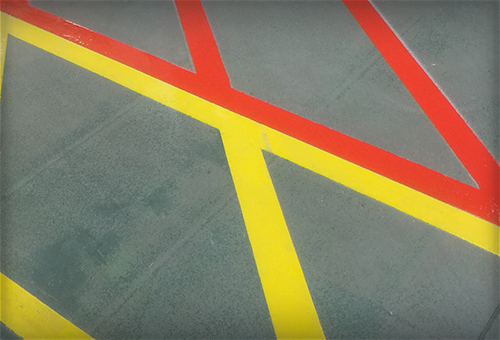 Leading providers to the warehouse and distribution industry of internal line marking solutions. We take pride in supplying customers with solutions that fit their needs, budget constraints and specific use which helps to maximise their investment. Click the button to download the Floor Marking Preparation Methods PDF so you can show colleagues. 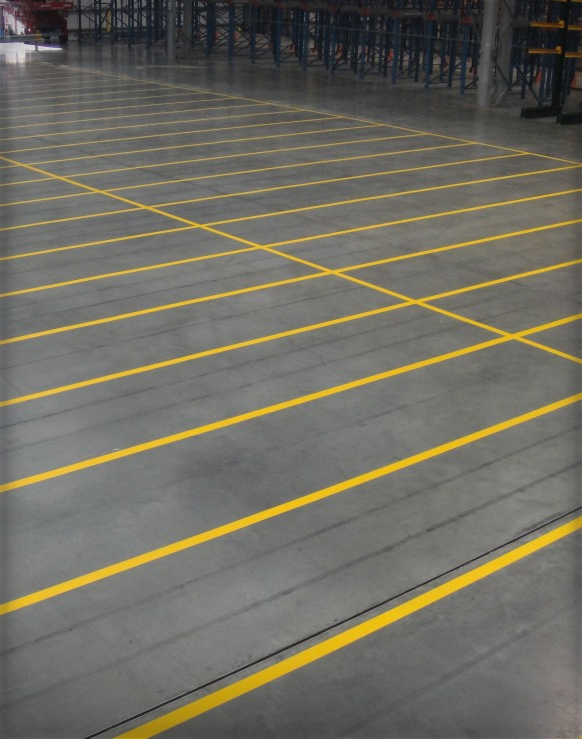 Our fully qualified installation teams offer nationwide coverage for all your internal line marking needs such as pedestrian walkways that ensure the safety of your employees to pallet lanes that maximize the use of space in your warehouse, Warehouse Floor Marking Ltd will work alongside you to create a bespoke solution. We offer varying levels of durability for internal floor marking solutions, ranging from vinyl tape for use in areas where temporary markings are needed through to durable vacuum shot blasted markings which are ideal for areas where MHE is used. 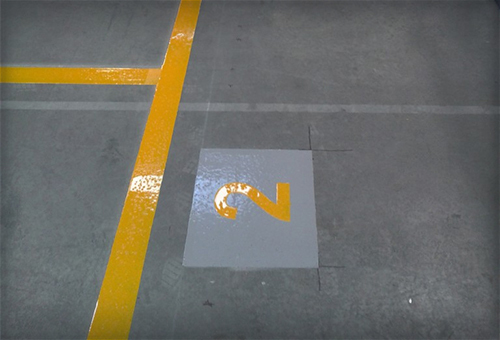 Warehouse Floor Marking Ltd work closely with paint manufacturers to ensure we can offer the best materials available at the most competitive prices. For unprepared installations, we typically use acrylic paints as these bond better with untreated floors, whilst for vacuum shot blasted markings, we typically apply two part epoxy’s as they are proven to be the most durable in terms of performance. We also have several fast curing paints available which are utilized when access times are limited or in areas with low temperatures. As well as pedestrian walkways and pallet lanes, we offer a full range of further internal line marking options, such as complete floor coatings for clients who are looking dramatically improve the overall look and feel of their facility, anti-slip coatings to help improve health & safety and lettering or image stencils to help the markings in your warehouse be as clear and easy to follow as possible. At Warehouse Floor Marking Ltd, we believe the key to completing a successful installation is all in the planning. That’s why our dedicated advisors and project managers will work closely with you to determine the right solution to suit your needs and provide a full layout and works schedule to ensure a smooth installation and 100% satisfaction on every project. Internal line marking seems simple, but please contact us and start discussions to avoid the pit falls.